The Avenue is the main shopping area on Sark, and can be found straight ahead at the crossroads at the top of harbour hill. This is where souvenirs can be purchased. 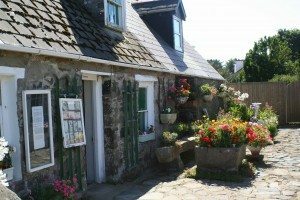 Locally made specialities include pottery and silver jewellery from Lorraine’s Pottery, silver jewellery from the SeaHorse Studios, glassware and original watercolours from Sark Glass Take Two or artwork by local artist Rosanne Guille in her shop on the Avenue. Home-made chocolates can be purchased from Avenue Gifts or from Caraghs’s Chocolates near La Coupee, where you can also view the chocolates being made. Ice-cream can be purchased from the old-fashioned trike at La Collinette. 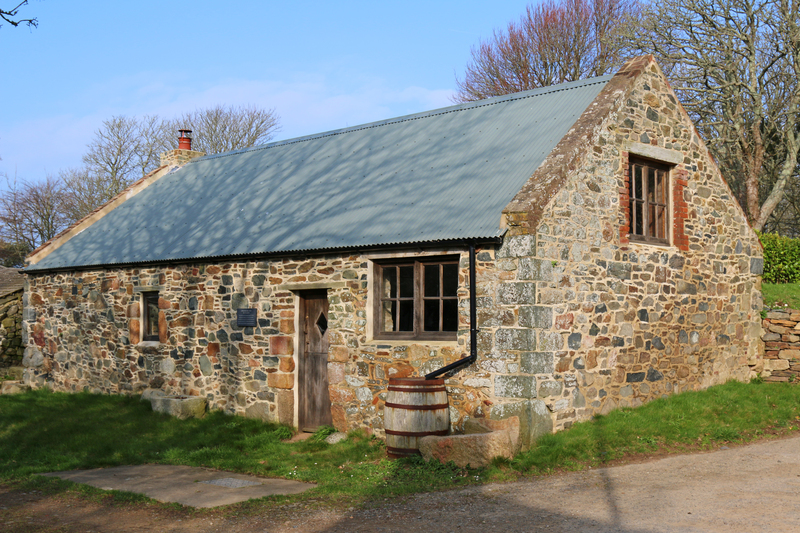 A selection of gifts can be purchased at the Sark Post Office, Stocks gift shop at La Collinette and also Coumme Nous, the Sark Arts Cooperative which sells locally made art and crafts near the Island Hall. 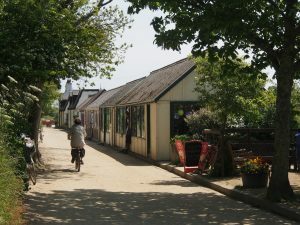 The Avenue houses a hairdressing salon as well as a selection of food shops and cafes. Situated in one building at the end of the Avenue. Take the left hand fork just after the Post Office. In addition to being the tourist information centre, the Visitor Centre stages a number of exhibitions. Books, maps DVDs and other information can be purchased and bookings can be made for guided walks and boat trips. It is open daily throughout the year. (Closed at the weekends during winter.) The Visitor Officer on duty will be pleased to help with all aspects of your visit to Sark. Also of interest is the newly restored Cider Press Barn opposite, featuring information boards and a store for our artefacts. 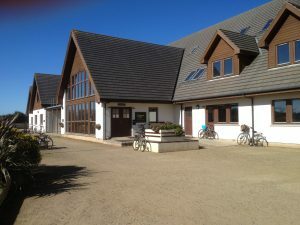 As well as housing the Sunflower cafe (downstairs) and the Maple bar (upstairs) visitors can also book sessions of pool, snooker, table tennis and badminton. Tel: 01481 832666. Concerts are scheduled regularly throughout the season, please see the Events calendar for more details. Turn right at the Post Office and you will soon reach this lovely church, full of beautiful stained glass windows. 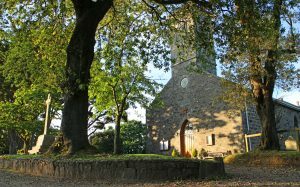 The tapestries on the walls and the kneelers and cushions of the pews are all hand-stitched and decorated by Sark locals. Look for the Prisoners Pew on the left side of the church. Its kneelers and cushions were embriodered by the keepers of Point Robert Lighthouse. Roman Catholic Mass is celebrated once a month with a visiting priest from Guernsey. 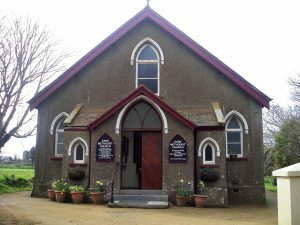 On the road where you will find Mon Plaisir Stores, leading left at the crossroads at the Chief Pleas building, you will find the Chapel. Open daily, you are welcome to go and take in the peaceful atmosphere of the Chapel. Read about the Chapel’s history and find out why it was moved from its original place! The original Chapel was built in 1796 at La Ville Roussel, and was rebuilt in its present location in 1926.You will see at the site the new Sanctuary Centre, finished in 2017.This has replaced the original Schoolroom, which was opened in 1926 by Mr Le Feuvre and was used by the community of Sark right up until the day it was closed. The new building will serve the same purpose, on a larger, brighter scale. As you reach the top of harbour hill, turn right at the crossroads by the HSBC bank. The museum is on the right, just after the satelite mast and telephone exchange. 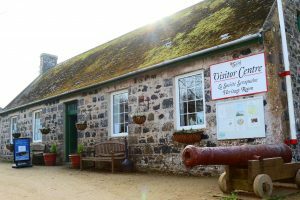 The building was the original telephone exchange and now houses a collection of World War II Occupation memorabilia, and an assortment of traditional rural life implements. 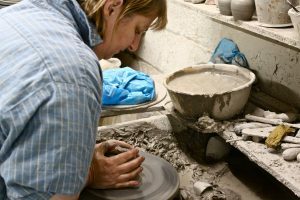 Make your own clay pot with Lorraine Nicolle, then have it fired. Available for families. Pre-booking is advisable in high season. Tel: 01481 832624 Pre-booking is advisable in high season. Situated at the end of the Island Hall, Coumme Nous was founded in 2016. You can browse the gallery and shop for locally made art and craft. 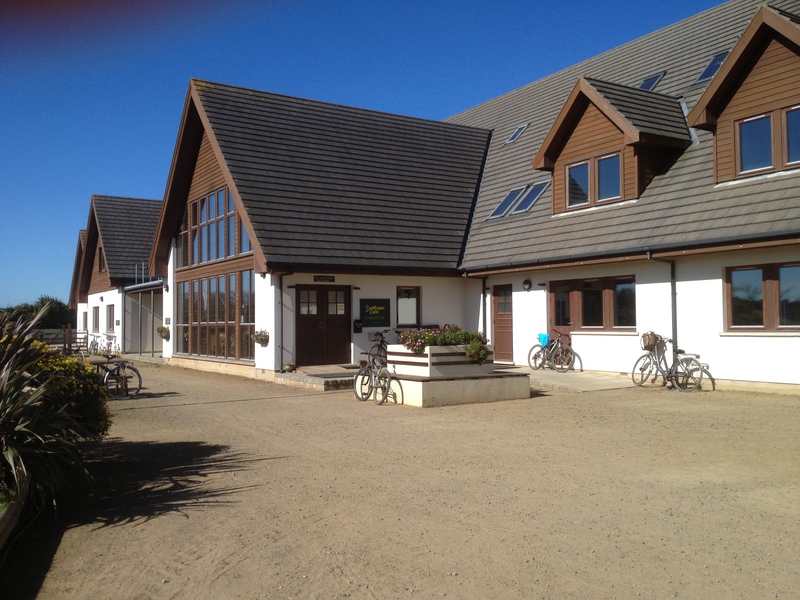 Open 4 days a week in the high season, times are on the board outside or email coummenous@gmail.com.